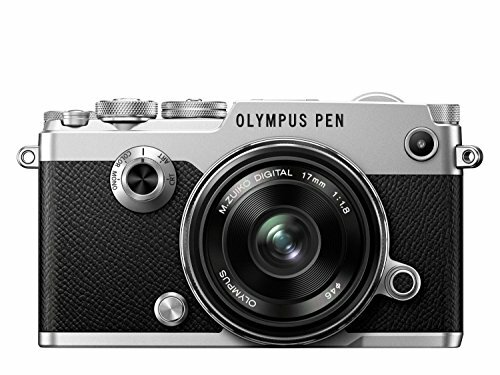 Just as it did with the original Pen, Olympus has launched another classic in the Pen-F. The elegant design is eye-catching enough to steal some of Fujifilm's retro-styled limelight, without compromising on the feature set. Deciding between Panasonic GX8 and Fujifilm X-T1 just had a spanner thrown in the works. There's something of a fashion going on with the compact system camera market at the moment, with most makers - well, all the serious ones anyway, sorry Canon - focusing on products with quality build at their core. We've seen the Fujifilm X-T1, the Panasonic GX8 and now Olympus with perhaps the best-looking of the bunch in the Pen-F. But that comes at a price: it costs £999 for the body alone. Yowch. A quick glance and you can see how the Pen-F stands out from the crowd. That retro design features a front dial to adjust between mono/colour/filter options, to give a distinct point of difference from its competition. Go under the hood and there's a new 20-megapixel sensor, plus built-in five-axis image stabilisation system to show off what the company can do. Does that set the precedent for the Pen-F? We've been shooting with the one both at home and abroad to find out if there's any F-ing about for the sake of visual design. When we first saw the Pen-F it was in its black and silver combo finish (as photographed), which we think is the more dazzling finish compared to the all-black model we've received for review. It's actually quite mind boggling how not a single screw face can be seen within the construction, apart from a semi-hidden pair behind the vari-angle screen, keeping the overall design profile rather high-end. There are extra points of distinction that help the Pen-F further stand out. From the twist-dial on/off switch to the top left of the camera, down to the barrel-like shape of the viewfinder which protrudes slightly to the rear. We love the metal dials and the presence of a lock on the mode dial up top - although there's still no lock on the exposure compensation dial, which is a shame. The Pen-F is all about its nuanced details. However, it isn't quite perfect at every turn. Details such as the plasticky flap to the side or the dinky and squashed-together buttons to the rear stop it being quite the masterpiece that it first appears. Additionally we find the screen, which is fixed to a vari-angle bracket, a little tricky to purge from the rear of the camera. Not impossible, of course, but where the top corner of the screen is most accessible, it's tough to dig fingers around its edge to extract the panel and manoeuvre it into a new position. Not that we'd want it too loose, but it shouldn't be so stubborn. So we're splitting hairs here, as the Pen-F design is delightful (certainly better looking than the Panasonic GX8), but there are tiny tweaks that could be made for the better. Then there's that big dial to the front of the Pen-F, which is a defining point of the design - how many other cameras have anything like that? Olympus is clearly pushing its in-camera customisation agenda, with pre-set Mono, Art Filters, Colour Profile and Color Creator options available via a quick twist of this dial. Select "Art" (i.e. Art Filters) and use the thumbwheel control to the rear to move between different filter options. It's like Instagram for the serious shooter, with all manner of options on offer. Actually too many options in our view: there should be a way to cut down the listings with a customised menu, to keep things simpler. "Color", a hue/saturation colour wheel that can adjust images to a considerable and customisable degree, is a feature that's been in the last few generations of OM-D cameras but has been so hidden away within menus (that's an Olympus special). Well, now it's right at the fore and you can use it to portray interesting colour casts and adjust vividness. The new "CRT" (Colour Profile) mode allows for isolation of primary colours across 12 points within the frame and their hue/saturation to be individually adjusted. It's like plotting a graph, with fun results, but it's complex and there's only one pre-set to play with - if you want three distinct colour profiles for different scenarios then you can't cater for that. Which seems odd given the excessive breadth of Art Filters. "Mono", which also has its own position on the dial, does as you would expect: dials all colour out for some sumptuous black and white shooting. You can apply one of nine colour filters at three varying levels of severity for different filtered results, which is great. Thing is, for all the time we used the camera it was quite rare that we ever reached for this dial. And when we did, we felt it a touch too far towards the lens for our liking - it's a bit stiff to use with just one or two fingers. However, when you do make adjustments you can immediately see on screen or through the finder what you're doing, while the rear thumbwheel allows for quick adjustment between sub-settings. Our advice is to spend a bit of time setting up the options as you want them, which is more likely to then lure you in to use them frequently. Olympus has a certain way when it comes to in-camera controls. If you're used to any other camera system then the abundance of menus and locations of some will likely feel alien at first. All it takes is a little learning, though, as everything you could need is to hand - whether quick-access to the main controls using the rear d-pad and two rear function buttons, or digging deeper into the menus. Operationally the Pen-F is a lot like its OM-D cousins, really. With an eye fixed to that viewfinder an 81-point autofocus system is at your disposal. A quirky feature we like is that by pressing a finger on the rear touchscreen and dragging it around you can select the focus point with ease, which is an idea adopted from the OM-D range. Back to the viewfinder for a moment, though. This is a big deal in Pen land, as the F is first of its kind to feature a finder, which Fujifilm would describe as "rangefinder style". We wouldn't call it exactly that, bar for its side-aligned positioning, as it's a usual 2.36m-dot electronic panel. Plenty crisp to see in detail what's going on, even if it does take a microsecond to auto activate and isn't as physically large as the competitions' offerings. The focus system is similar to that found in the OM-D E-M5 II - the Pen is contrast-detection only, it doesn't use the Hybrid AF system of the top-end OM-D - which makes it snappy, just not the very best in class. We tend to lean to Panasonic G-series for that because of the Pinpoint focus mode option. With the 17mm lens attached to the Pen-F for this review you'll need to be careful with critical focus as close-up isn't its forte and we've found focus can be behind where the AF point suggests it is. Burst mode is speedy, offering 10 frames per second (10fps) which can hit 11fps with the electronic shutter selected and image stabilisation switched off. We used the electronic shutter for much of our test as it means silent shooting and faster shutter speeds that are particularly useful in brighter conditions when you want to use a wide-open aperture. Battery life is claimed to be around the 330 shots per charge mark, which wasn't far off the count. With some video work, fiddling with menus and not always fully switching the camera off between uses, we achieved 260 shots in one charge. Recharging the battery in its provided cradle means you can make the most of a second battery with ease, should you buy an extra. Overall that battery life is ok, but not great. Premier to the Pen-F's feature set is Olympus' 5-axis image stabilisation system, designed to counteract pitch, yaw, roll, and vertical/horizontal shift. You can actually hear it "fizz" into action in use, with a sound that, despite being kind of irksome, lets you know for sure it's operational. The system is said to be good for counteracting 5-stops, putting it up there among the best systems on the market. And that can really be felt, especially in video mode where it's like having a virtual Steadicam take ahold of the camera. We've used the Pen-F in some dim conditions and have noticed its selection of slower shutter speeds to be of no concern (subject permitting). A sunset snap of the Hong Kong skyline at 1/10th second retains plenty of sharpness and saved us from shooting at a higher sensitivity than the selected ISO 1600. Very impressive. The obvious difficulty, though - as with any stabilisation system - is that subject movement can inject its own issues, as we found when snapping a dog sat on its owner's lap (should have selected shutter priority, really). One potential downside of the stabilisation system is that it cannot work in tandem with lens-based stabilisation, should you have a Panasonic Micro Four Thirds lens attached, for example. It's a case of one or the other, rather than enabling the lens to combat horizontal and vertical movements and the body to counteract roll, pitch and yaw. Plus it further impacts on battery life, which is part of the reason that's not especially long-lasting. Under the hood - not that you'd be able to get there with ease, given the almost screw-free design - the Pen-F houses a 20-megapixel sensor, upping the resolution ante for the Pen series. Although not confirmed, we fully suspect this is the same Micro Four Thirds sensor as found in the Panasonic Lumix GX8, tuned to Olympus' standards. In many ways, therefore, the Pen-F rules Olympus' image quality output, as it even outshines the OM-D line. How does it fare? In short, very well indeed. It's a close match to the Panasonic GX8 in terms of results, with that added resolution bringing larger images than before in the Pen line-up without apparent cost to sharpness or image noise presence. Sensitivity kicks off at ISO 200 - still no ISO 100 proper option, which is a shame, but an ongoing issue with most compact system cameras - and the results are crisp and clear. From cheetahs shot in Namibia to teddy bears shot in low-light in shop windows, through to the skyscrapers peering through Hong Kong's Peak foliage, the Pen-F has handled colour and exposure well for the most part. There's some slight grain present if you inspect images at close detail, but nothing untoward. The high ISO results are also very reasonable. We typically capped at ISO 1600 as beyond this the visible grain is pronounced to a more noticeable degree, particularly at ISO 6400 - despite colour noise being largely absent, even in raw files. Sticking to ISO 1600 and we've shot dogs on laps and low-light sunsets, with daylight shots hiding away the majority of unwanted results; but, saying that, even blacks remain deep and rich at this level. Sharpness at the lower ISO sensitivities will be partly dependent on lens choice. We've been using the 17mm f/1.8 throughout, which brings the bundled price to £1199, often avoiding the widest aperture setting given how slight its depth of field is. Its results are decent and when its particularly on point - see the "no smoking" sign on the wall shot - it's exceptional. What sets Olympus apart from the competition, as we've mentioned, is the abundance of in-camera adjustments available. You can ignore them or go crazy with them, it's entirely up to you - and you can always retain the original raw file in tandem if you happen to go a little overboard and want the neutral original. Oh, and there's a tripod-specific mode called High Res Shot which can capture 64-megapixel still life images - it's niche, but it's great for specific non-moving subjects under continuous lighting. Beyond stills the video capacity of the Pen-F doesn't reach quite as far as its competitors. The ability to shoot 1080p is fine, but with 4K seeping into the market elsewhere it's a surprise this ultra-high definition option lacks. However, the image stabilisation in video mode is rather spectacular for hand-held shooting. Shame the continuous autofocus is next to useless, though, drifting in and out of focus throughout extended capture. However, the Pen-F's battery life is so-so and the camera's video capabilities are limited compared to its peers. Panasonic offers a more versatile viewfinder, 4K video capture and shooting options, plus more complex autofocus options in its GX8/GX80 models, while Fujifilm offers a physically larger viewfinder and puts up a fight in the retro style stakes with its X-T1/10 models. So is it a case of style over substance for Olympus? Not really. Even if you don't use that four-way colour/art filter dial loads, the Pen-F shows its worth thanks to great 5-axis image stabilisation, 10fps burst shooting, and a quality 20MP sensor. The problem is the price: even the company's OM-D E-M5 II is a more affordable option, which sees the Pen-F arrive in a kind of limbo.